Our purpose is to sustain a profitable business for the long-term benefit of our employees, our customers and our stakeholders. All our business interactions are based upon integrity. Our customers will know that we deal with them honestly. Our stakeholders will trust us. Our competitors will respect us because our actions are principle-based. As a team, we want more opportunity and personal growth as well as financial rewards. We seek stability and security. We value and will always show respect for the individual. Our team members are family. We are enthusiastic and committed, creating an enjoyable, yet professional work environment. Our business will make a positive difference in the lives of the people we touch. Corporate Records Management was founded 17 years ago as a full-service commercial records center. Our primary emphasis is to provide superior customer service in a framework of high flexibility to meet the needs of our individual customers. 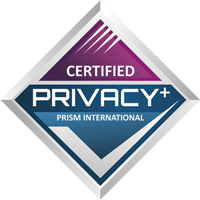 We are privately held, located in our 72,000 square foot, high-security facility. Our success confirms that a small business founded on integrity, flexibility and excellent customer service can thrive against the vastly larger record centers in this industry. Each of our customers is important to us, and you will find that we have the ability to tailor our services to provide what YOU want, not what is convenient for a pre-set rigid business structure. 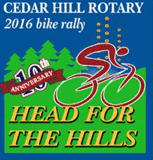 Each year, our founders, Denise and Mike, help organize a bike rally for 1300+ riders across the beautiful rolling hills south of Dallas in May. An all-volunteer event, we have now raised over $200,000 for important local charities, like Coats for Kids. Giving back; making a difference. We are a certified woman-owned small business, with qualified MWBE status, satisfying minority business contracting initiatives. We have an unwavering commitment to our community and its information management professionals. Need Help Managing Your Information? CRM is Here for You.